Delicate gold colour plated hoop earrings. 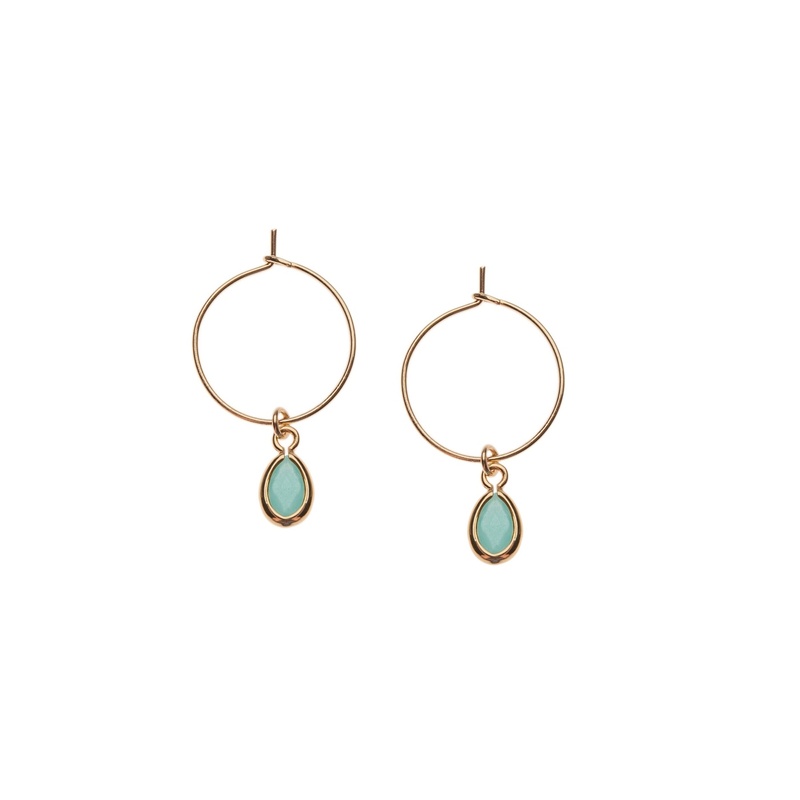 These pretty hoop earrings feature dainty teardrop glass stone pendants. Keep your jewellery free of dirt, cosmetics, hairspray and perfume. Avoid water and harsh chemicals.